I have been following certain developments on the koala front in Australia. The marsupial is an icon associated with Australia- and is also well known for its predilection for eucalyptus and sleep. After a decline in the wild population (to approx. around 200,000 according to government figures), Tony Burke (Australia’s Environment Minister), following a Senate report, has listed koalas as ‘vulnerable’ species last week. However, the tag will be restricted to certain areas- i.e Queensland, New South Wales (both states experienced a heavy decline in population), and Australian Capital Territory (which now has no wild koalas), which is another example of effective lobbying by the industries concerned as both Victoria (which has the distinct Strzelecki koalas, most of which are in private properties) and South Australia are not included (Burke claims that there are large koala populations in these two states). Whilst NSW welcomed this development, the Queensland Premier, Campbell Newman, is disgruntled, labelling the move as a ‘mindless green tape’ and threat to the employment market and development in the state. The Senate report associated the population decline with habitat destruction (mainly by coal mining, logging, and housing developments), climate change (drought and extreme weather resulting in bushfires), accidents (road-kill), attacks by dogs (especially in summer when they venture into gardens to drink from swimming pools and water bowls), and disease (notably: Chlamydia). 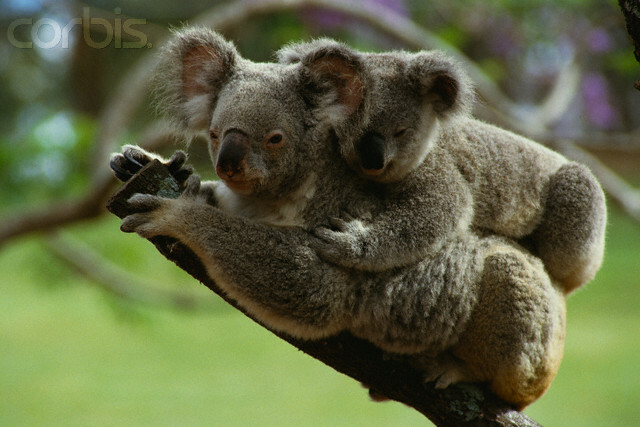 In the case of bushfires, koalas’ slow-moving nature prevents them from escaping from fires. The question now remains as to what will be done proactively to ensure that the koala isn’t driven to extinction. Indeed! Also, the deforestation reports of Brazil is quite disheartening. Perhaps what they need is a wildlife reserve- just for them.